Teams will now be fined if their players choose to participate in the protest. The NFL will introduce a new policy in which teams are fined for not standing during the national anthem, ESPN reports. Teams will also "have the option to fine any team personnel, including players, for the infraction." 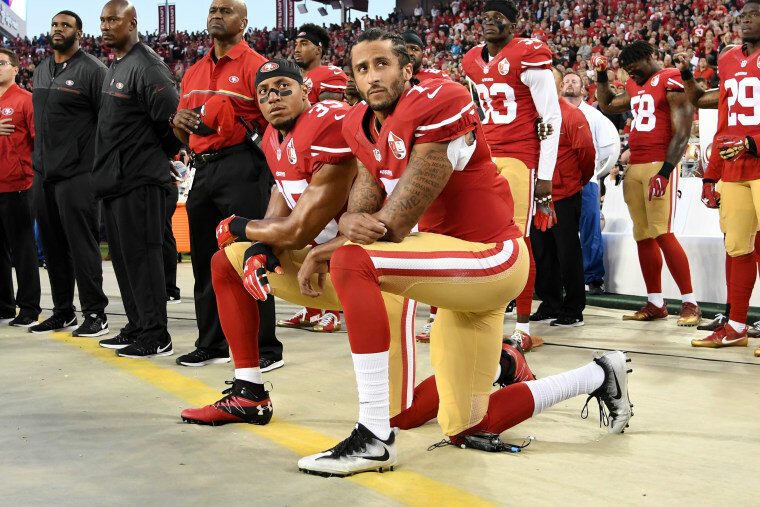 The new policy is seen as a direct response to Colin Kaepernick's initial national anthem protest, which inspired other NFL players, as well as cheerleaders and athletes from different sports through professional, college, and even high school leagues to take on the same initiative. The policy was unanimously approved by all 32 NFL team owners, with only one own, Jeff York of the San Francisco 49ers, abstaining. "It was unfortunate that on-field protests created a false perception among many that thousands of NFL players were unpatriotic," Roger Goodell said in a statement on the new policy, echoing a sentiment supported by many conservatives, including the president, which has been largely refuted by supporters of the movement. "This is not and was never the case." Players will have the option to remain in the locker room instead of standing for the anthem. Further details on the new policy have not yet been revealed.